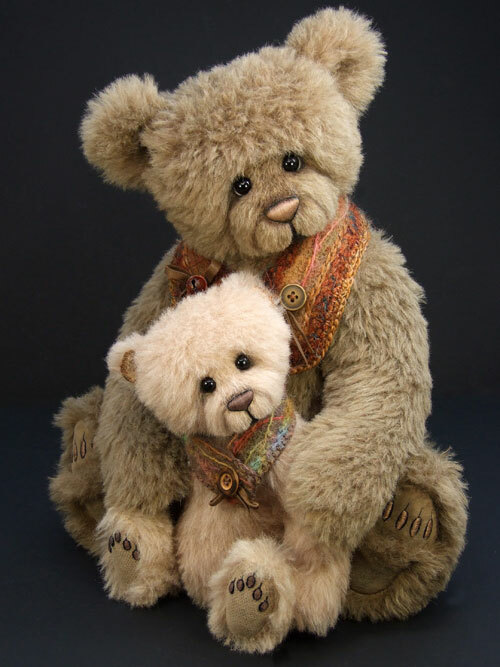 The wonderful Hugglet’s Winter BearFest show was very successful, so I would like to share with you just a few of the bears that were available on the day! 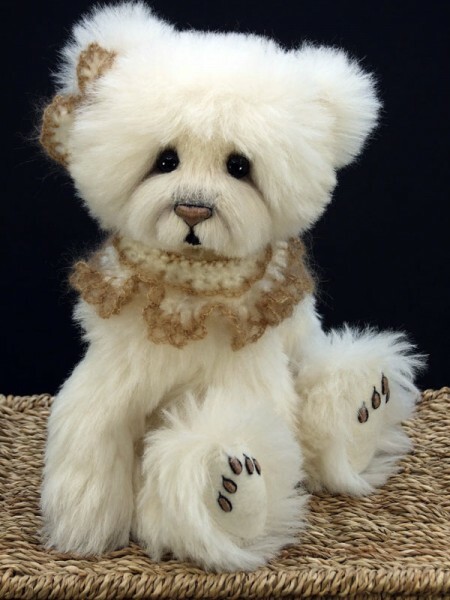 They are all unique in design, character and size, created from the most wonderful luxurious mohairs and alpacas. 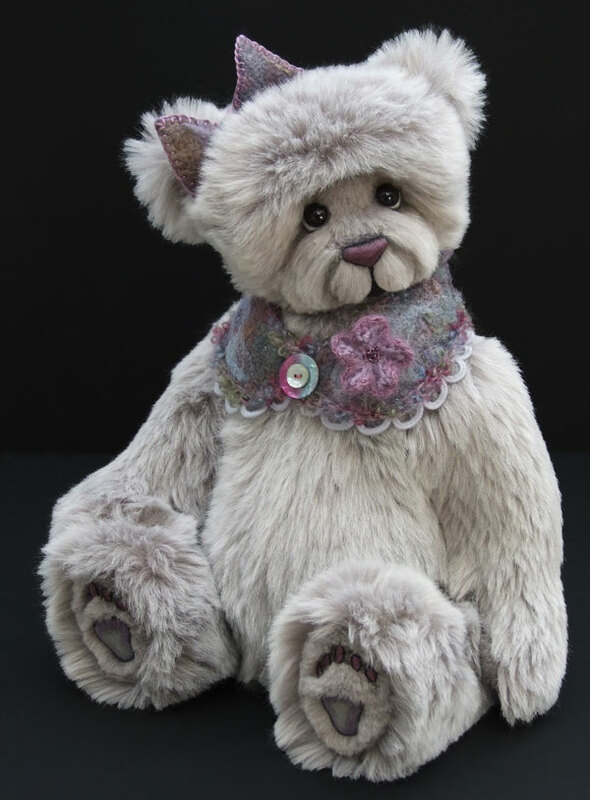 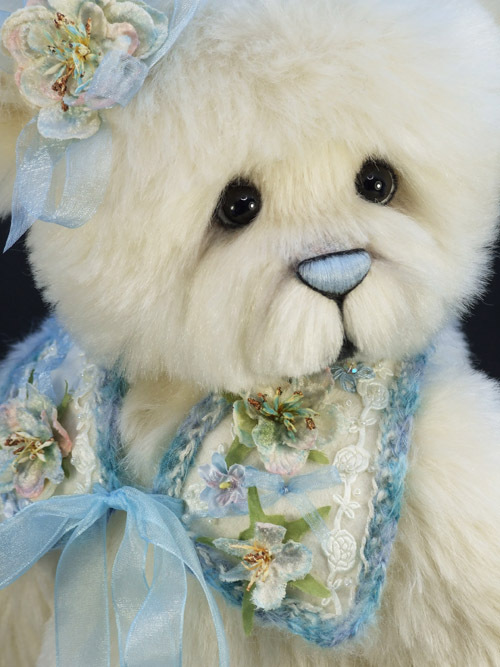 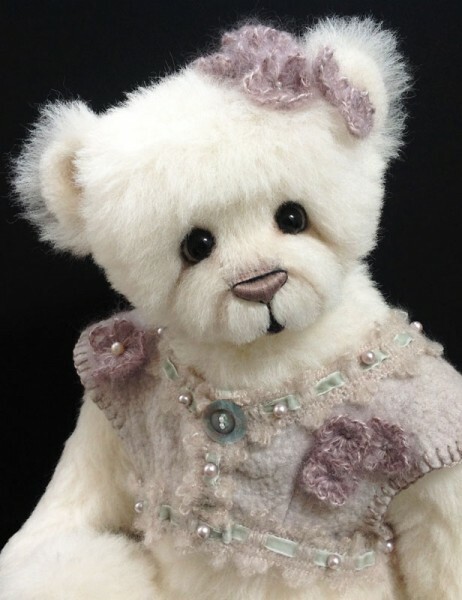 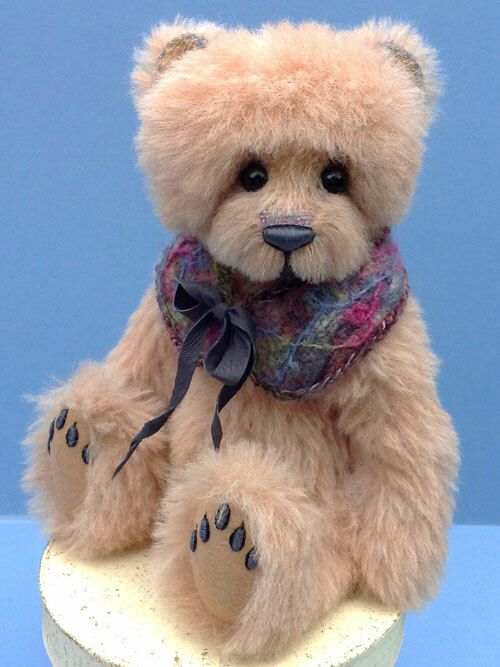 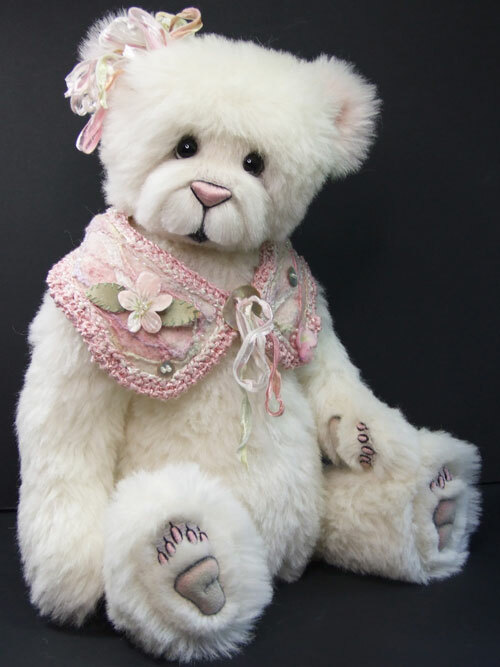 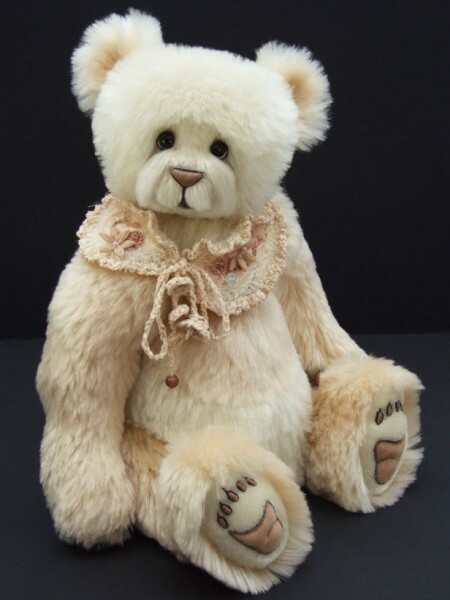 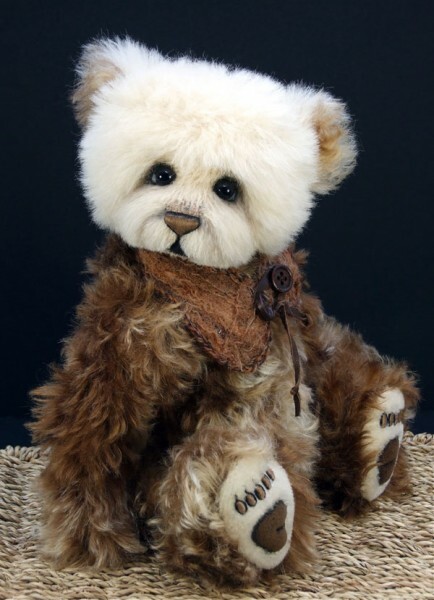 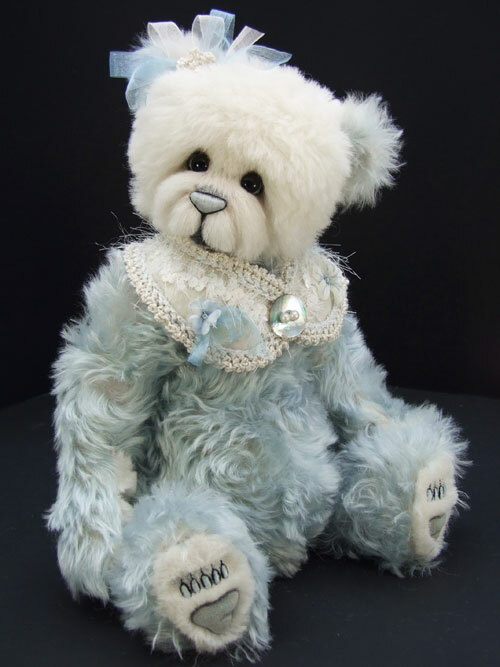 One very special bear, Theodora has been made from a fabulous Schulte faux fur with stunning results…due to the amazing density of the fabric! 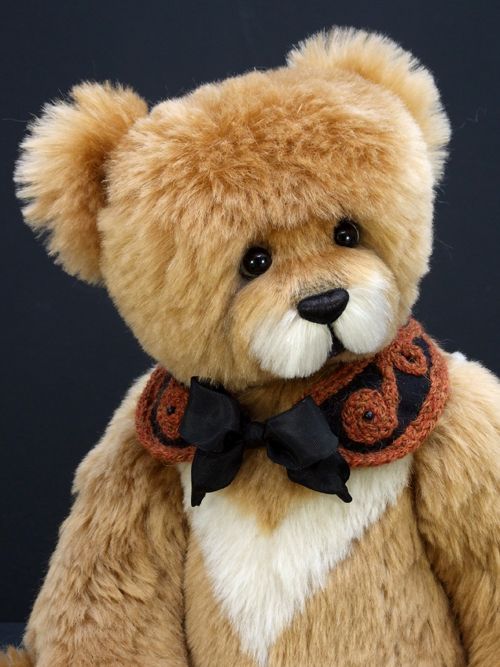 The collars… have been great fun to create, all made by myself and colour blended to compliment each individual bear. 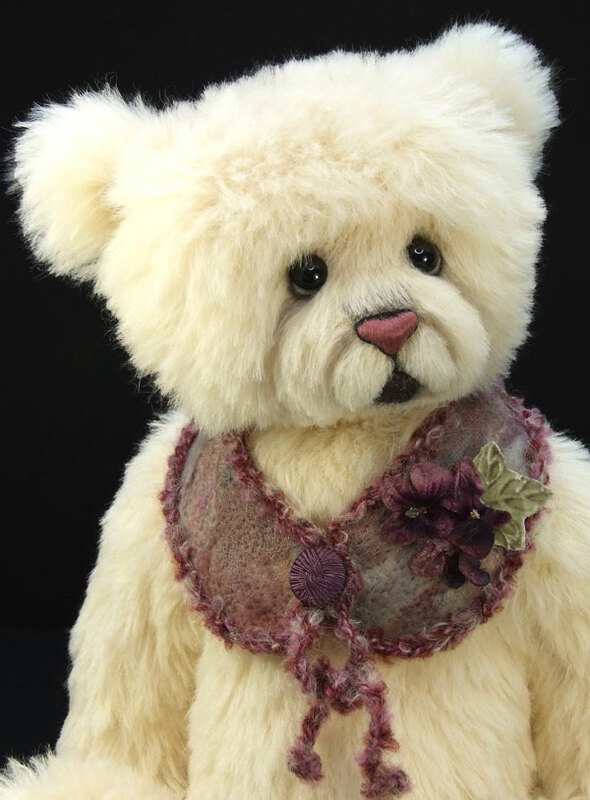 Some collars have been needle felted, with silks, wools, and threads, then surface embellished…. 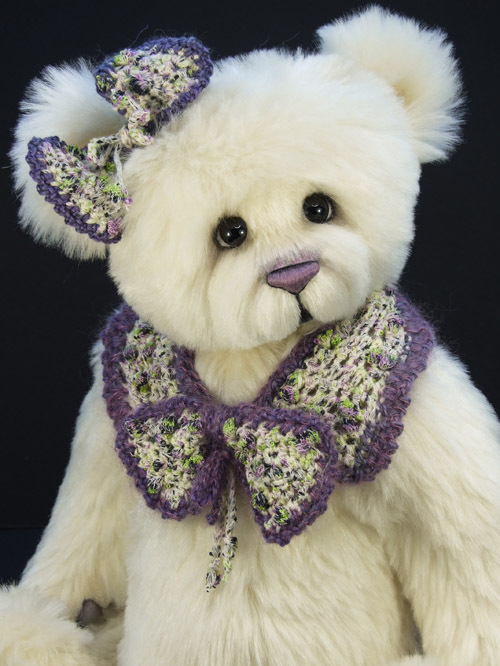 while others I have hand worked using a variety of mixed yarns! 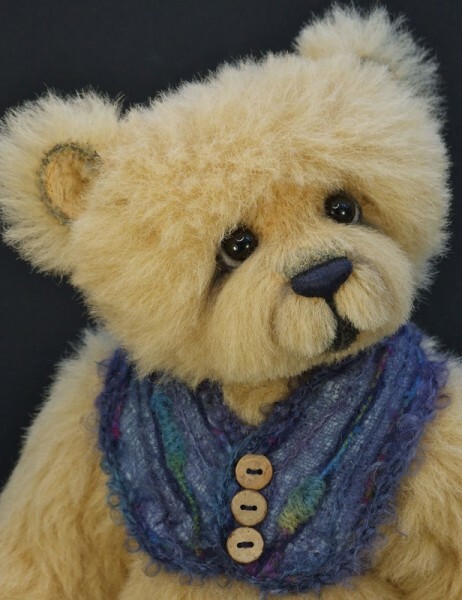 I have had such a fun Summer, creating these bears, each one is unique, and made with much love and attention to detail! 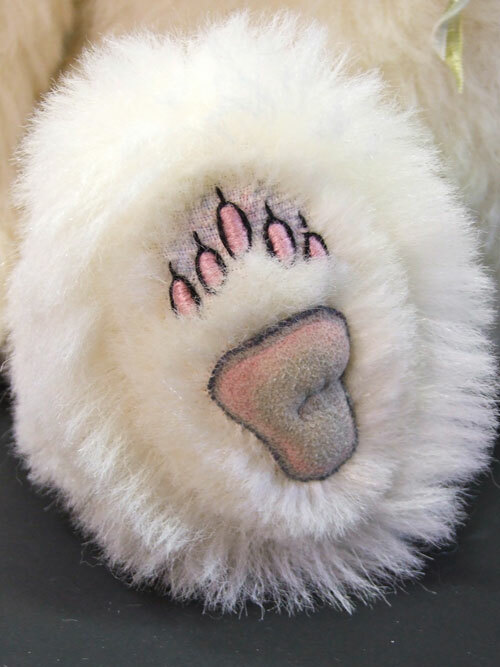 Some have new footpad designs, and different muzzle shapes, while others are made from newly designed patterns, I find small changes can make a huge difference to the overall look of a bear, but I am always mindful of staying true to my signature style. 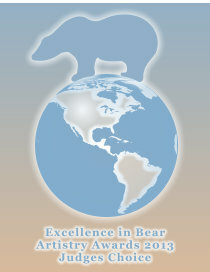 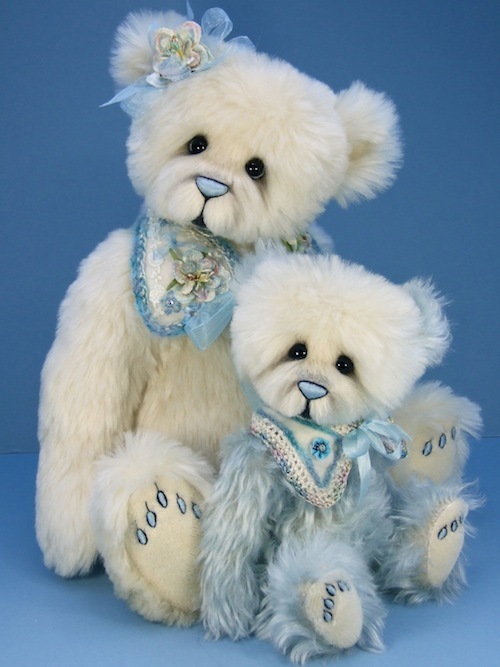 The bears for this show vary in size from a big hefty 21ins to a dainty little 10in handful! So hopefully among them, you will find one that appeals to you! 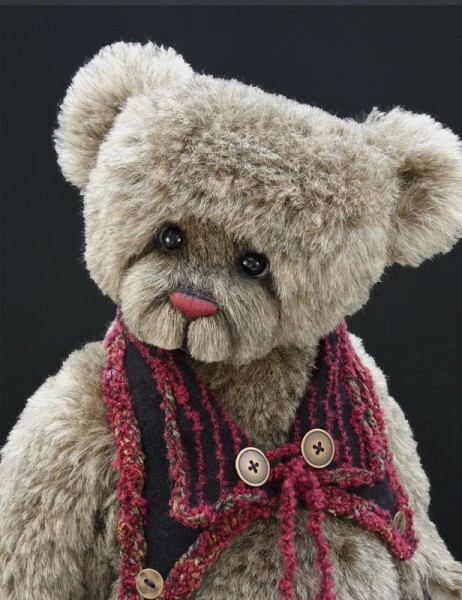 Collars too have been handcrafted by myself, using a variety of fabulous felts, stunning luxury yarns, beads, and buttons….all surface embellished for added texture, and colour blended to compliment each individual bear. 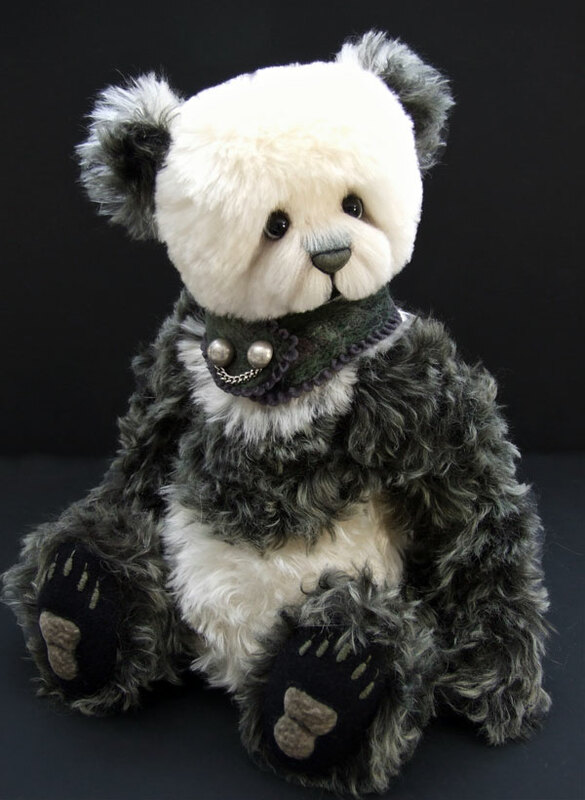 For the first time also, I’ve enjoyed making a little bodice for one of the bears, so maybe this will be something to develop further in the future! 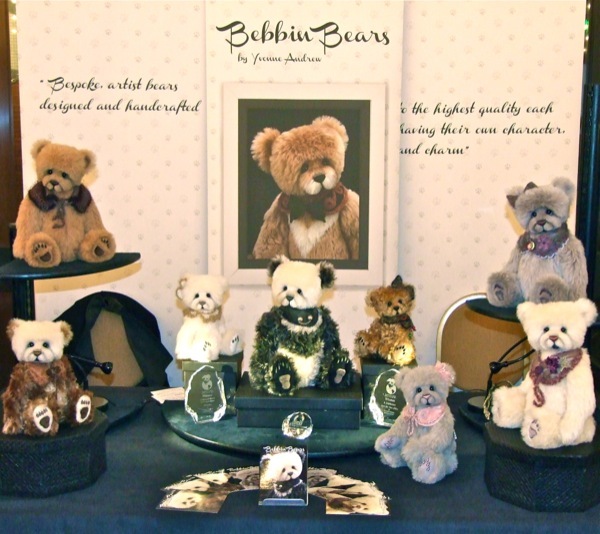 Here are some of the bears which were available at Hugglets Winter Bearfest 2013 event, held in Kensington, London in February 2013. 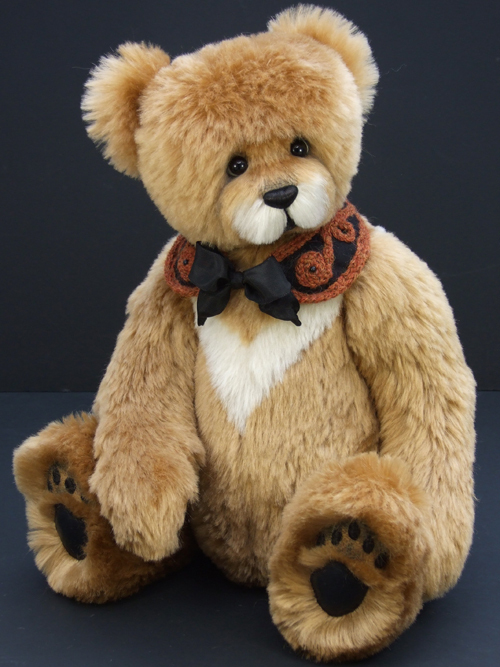 Here are the bears which were available at Hugglets Teddies 2012 event, held in Kensington, London in September 2012. 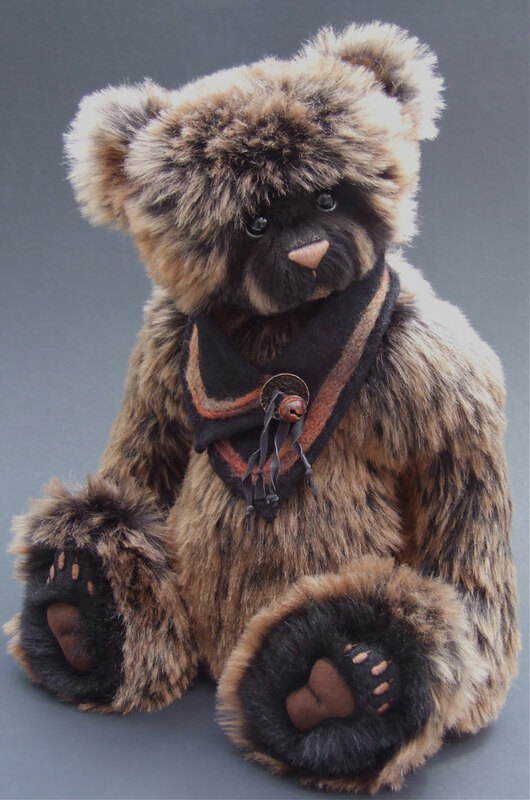 I enjoyed creating this collection with various wonderful new mohairs and alpacas some in glorious rich colours. 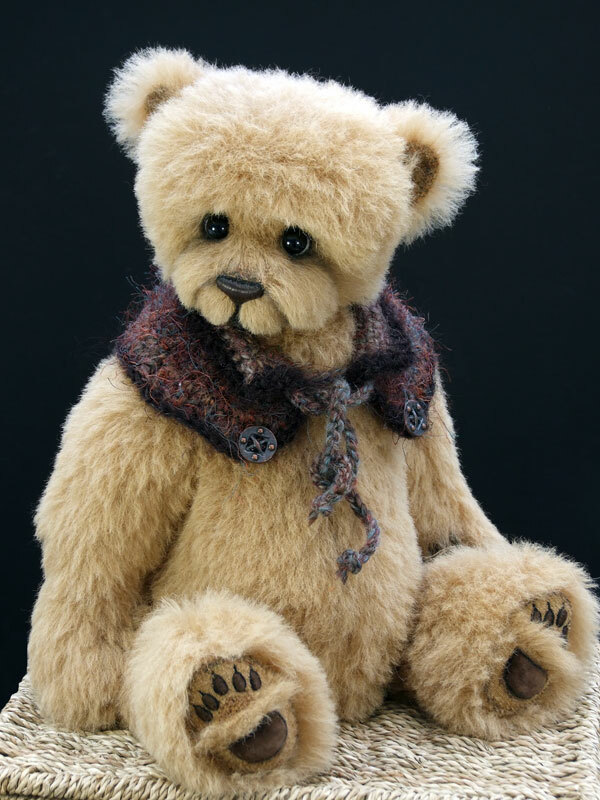 I worked new elements into my patterns although subtle, these small changes make a huge difference to the finished bear. Therefore you may notice that a few bears have smaller paw/footpads, slightly different head proportions, and slightly longer muzzles. 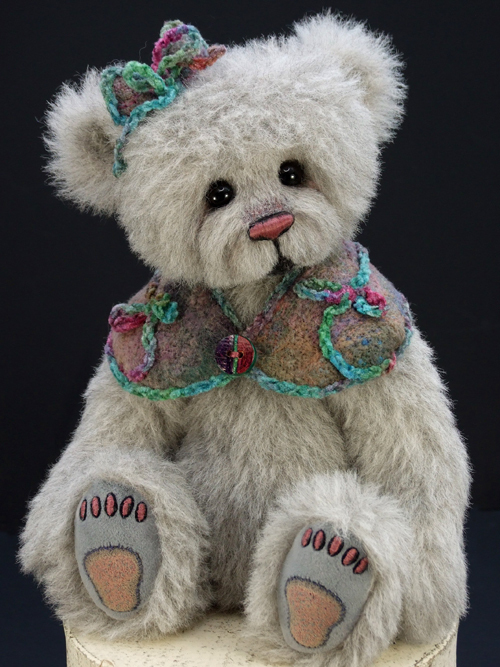 I also developed a new padded foot design which gives a real three dimensional look, as you can see on Mireille’s footpad. 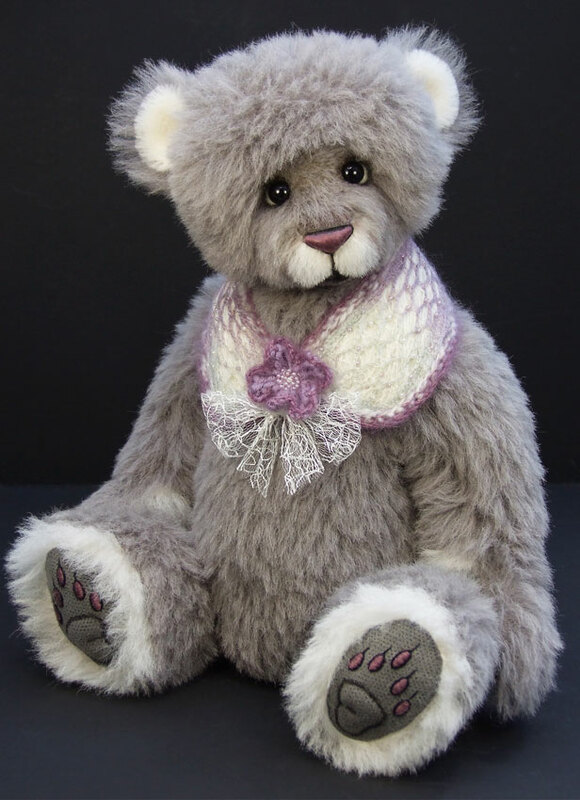 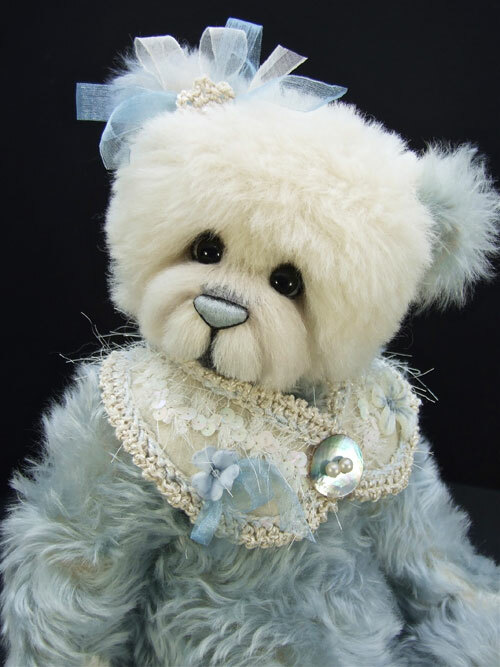 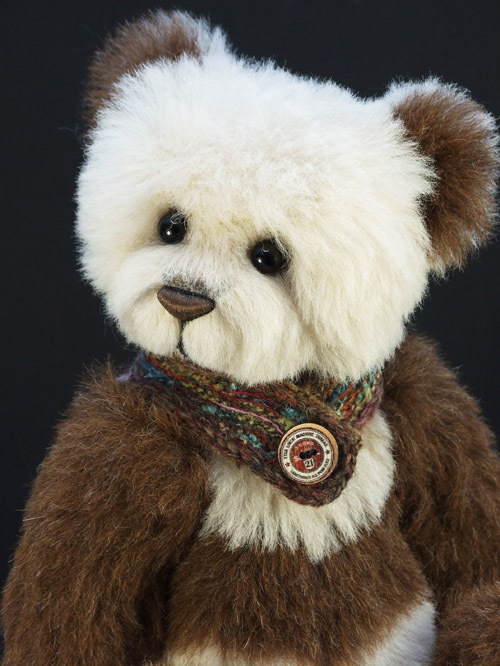 Each bear has its own character and personality, but all have the Bebbin Bears trademark features such as intricate hand embroidered paw and footpads, and of course my special embellished collars!! 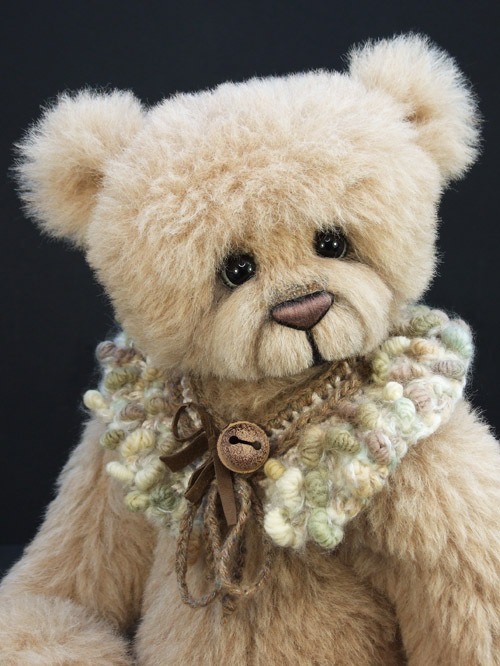 I also discovered a new technique to use in the making of my collars, felting many different textured yarns, including silk, cashmere, and mohair, together to form the base and then embellishing the surface again to add interest and texture. 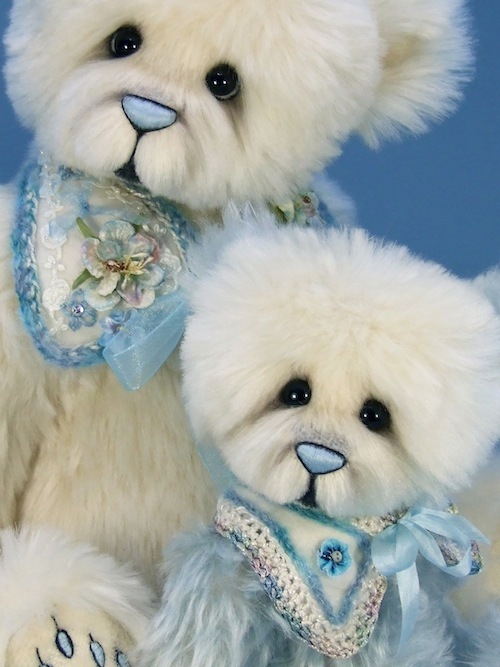 Lots of fun!!! !